Many couples dream of a honeymoon in Europe, and for a good reason since European destinations offer spectacular scenery, beaches, fun activities and delicious cuisine. Whether you are visiting just one country or planning a trip though many famous vacation spots, here are some of the top romantic ideas in Europe. While you are probably excited to create a busy itinerary full of museums and sightseeing tours, remember to leave some time for relaxing with a massage, room service and romantic moments together on the beach or on the balcony of your room overlooking a historic city. Portugal is a diverse destination, home to sunny beaches, beautiful cities, romantic castles and vineyards producing some of the best wine in the world. 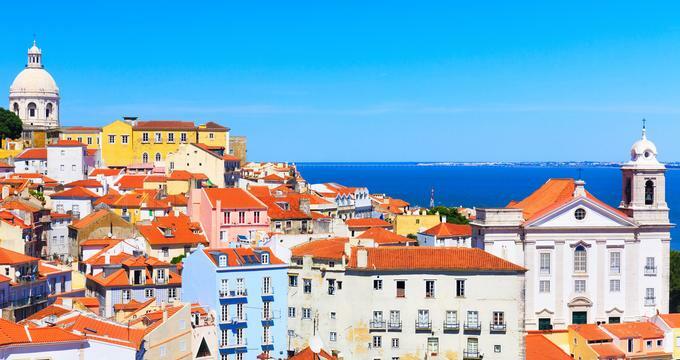 Lisbon, the country's capital city, is the best place to start your honeymoon, featuring historic landmarks, warm weather, great shops and friendly locals. Afterwards, head to the nearby Sintra where you can see the famous Pena's Palace and other grand castles. Porto in northern Portugal is a vibrant coastal city where you can listen to live music, sip fine port wine and enjoy ocean views. The historic center of Porto is a UNESCO World Heritage site and the perfect place for a romantic stroll. For some of the best beaches and the most dramatic coastal scenery in Europe head to the Algarve region in the south. This is one of the most popular tourist spots, complete with great spas, restaurants and scenic hotels. Mild Mediterranean climate makes Algarve a great place to visit year-round. 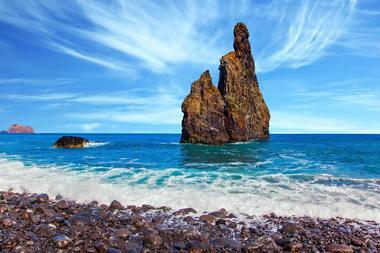 If you have time, fly to the Azores for some fantastic scuba diving and secluded beaches. Find more honeymoon ideas. 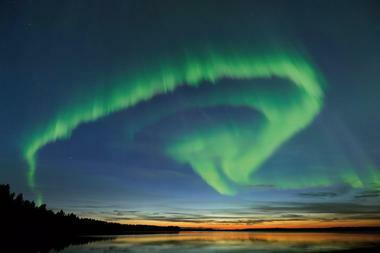 From incredible Northern Lights and clear night skies to cross-country skiing and scenic lakes, Finland is a destination for couples who like adventure. Helsinki, the capital city, provides a great base for exploring the southern part of the country. Check into a stylish hotel to explore the city's Art Nouveau architecture, have drinks at a local bar and visit the Seurasaari Open-Air Museum which features centuries-old Finland buildings collected from all over the country. If you want to see the Aurora Borealis, head to Lapland in the north between late September and March where you can also experience raindeer safaris, go cross-country skiing and sleep in an igloo. Some of the top attractions in Scotland include the National Museum of Scotland where you can admire ancient artefacts, Edinburgh Castle which towers high above the city, and Scottish National Gallery which houses famous art works by Raphael, Monet, Van Gogh and Scottish artists. Glasgow Science Centre is a great place for interactive exhibits, IMAX movies and shows at the planetarium. Urquhart Castle on the banks of Loch Ness in the Highlands dates back over 1,000 years. Scotland is home to hundreds of islands, rivers, lochs and over thousands of miles of scenic coastline. Fly to Orkney Islands where you will find rugged cliffs, diverse wildlife, romantic beaches and 18 hours of daylight in the summer. Monaco is a great destination for couples who enjoy luxury accommodations, clubbing, casinos, five star dining and boutique shopping. Stay in a hotel just steps from the beach or high up on the hill for a bird's eye view of the sea. 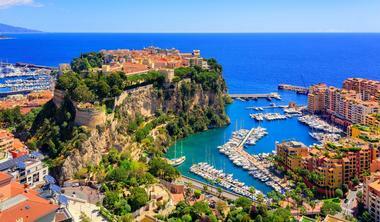 Monaco is located on the French Riviera between Italy and France. Some of the top attractions include luxury casinos, opera performances, the Grand Prix which takes place in May and the Prince's Palace where you can watch the daily changing of the guard at noon. The Oceanographic Museum houses a huge whale skeleton, shark lagoon pool and Tortoise Island. Port Hercule in Monte Carlo is one of the top photographed spots in Europe. Stroll through Jardin Exotique to admire huge cacti, a cave and spectacular views of the sea below. From famous cultural attractions to some of the best beaches in Europe, Spain is one of the top honeymoon destinations with many romantic things to see and do. In Madrid, visit the Royal Palace, watch the best flamenco dancers in the world, taste delicious tapas and spend some time at the Prado, one of the world's top museums. Barcelona is home famous Gaudi buildings, including Basílica de la Sagrada Família, Park Guell and La Pedrera. The city has many grand music venues featuring classical music, jazz and other music performances. Visit the Museu Picasso in Barcelona to view the biggest collection of Pablo Picasso art. Valencia is another amazing coastal city, home to Europe's largest aquarium, a beautiful old town with cobbled streets and many historic attractions such as the Valencia Cathedral and La Almoina Archaeological Museum. Beach lovers should head to La Concha in San Sebastian, a long stretch of sand lined with hotels, restaurants and cafes. If you have time, get away to the party island of Ibiza, Spain which has a great selection of beaches, night clubs and dining. 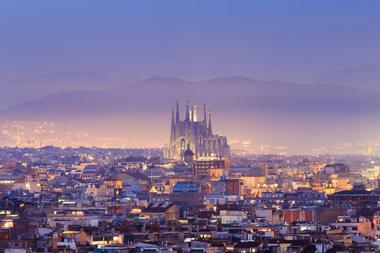 Where to travel next: Prague, Madrid, Dublin, Amsterdam, Barcelona, Copenhagen and Budapest. Italy is home to some of the world's most photographed travel spots, such as the Colosseum in Rome, the Grand Canal in Venice, the cliffs of Amalfi, and Michelangelo's David in Florence. The country offers a diverse choice of romantic hotels for all budgets, from five star villas to more affordable hotels and B&Bs. 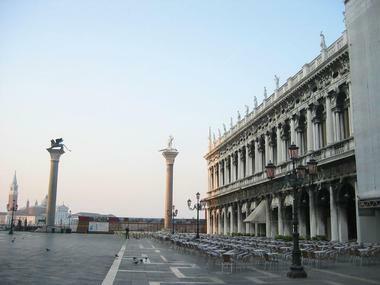 Fly to Rome or Venice where you can spend a few nights taking in the sights. Italy has a very good train system which means that you can get almost everywhere without renting a car if you don't feel comfortable driving. Slovenia is a hidden gem, home to stunning lakes, valleys, fantastic hiking in the summer and skiing in the winter. One of the first things you notice is that people are genuinely friendly and excited to share their stories with travelers. Whether you are interested in historic castles, caves, or local cuisine, your vacation in Slovenia will be filled with fun adventures. The capital city of Ljubljana is the best place to start your trip. In the summer, there are many outdoor music concerts, cafes next to the river, and scenic views from the castle above the city. In the winter, the historic city center comes alive with holiday decorations, music and unique open-air shops. Bled is one of the most romantic towns in Europe, surrounded by picturesque mountain and lake views. There are several great hotels which offer rooms and suites with a view of the lake, perfect for honeymooners. Slovenian wellness centers are excellent and built around natural hot springs. Check into a spa resort for a few days and enjoy relaxing massages, pools and healthy cuisine. France is a diverse destination with many beautiful honeymoon spots, including the beaches in the south, famous attractions in Paris, the island of Corsica and the Loire Valley. In Paris, check into a five star hotel with a view of the Eiffel Tower, visit famous museums and dine at gourmet restaurants. Explore the wine country, hike in the Alps and check into a romantic hotel on the French Riviera. Romantic honeymoon ideas & weekend trips in the United States. The scenery in Iceland is dramatic and beautiful. Couples get to choose from activities and attractions like the breathtaking Auroral Borealis displays, active geysers, beautiful coastal towns and rejuvenating spas. The capital city of Reykjavik is small but offers vibrant nightlife, beautiful parks and a charming city center. 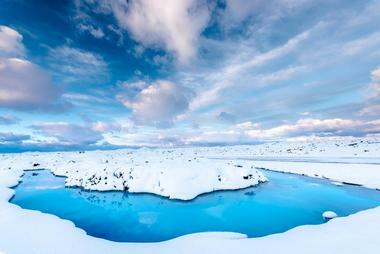 Check into the Blue Lagoon for a few days, a famous spa resort powered by geothermal water. The north coast of Ireland is the best place in Europe to see whales. More vacation ideas: 16 Best Things to Do in Reykjavik. The Greek islands are scenic and romantic, offering spectacular sunset views, luxury honeymoon suites and great food. Santorini is the most famous of the islands, attracting a celebrity crowd in the summer. 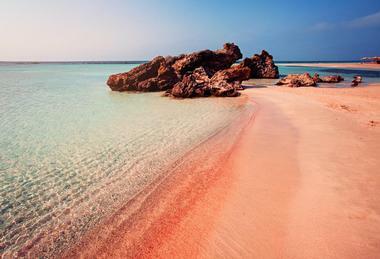 Crete is the largest island in Greece where you can find busy tourist spots as well as empty beaches. Mykonos has amazing beaches and offers a diverse choice of activities. More trip ideas in Europe. 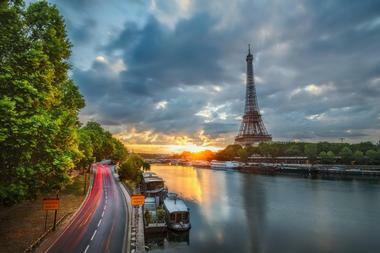 Great honeymoon destinations in the U.S.. The Faroe Islands are located in the North Atlantic Ocean between Norway and Iceland. The 18 islands that make up the archipelago have a dramatic coastline, long summer days (the longest day is 19.5 hours) and a choice of unique activities. The islands are ideal for couples who love outdoor adventures such as scuba diving, hiking and bird watching. Winter diving is magnificent because of crystal clear water, stunning caves and colorful marine life. If you are a fan of astronomy, travel to the Faroe Islands on March 20, 2015 to watch the total solar eclipse, a rare event well worth experiencing at least once in your lifetime. 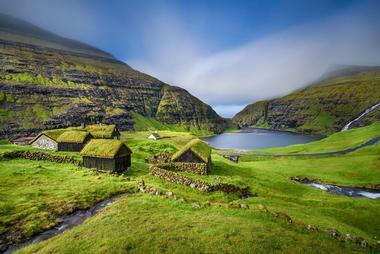 The Faroe Islands are accessible by ferry and by air (a two-hour flight from mainland Europe). Accommodation options include hotels and guesthouses. 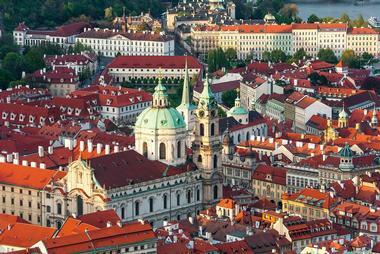 The Czech Republic offers honeymooners historic sites, shopping, scenic tours and 12 UNESCO cultural heritage sites. Begin your visit in Prague, the capital city, which you can easily get to by air, train or car. Cross the famous Charles Bridge, have a romantic dinner with a view of the river, visit museums, theaters and galleries. Afterwards, drive to Ceský Krumlov Castle, a UNESCO World Heritage site, about two and a half hours south of Prague. In the winter, the country offers great skiing, relaxing spas and fun sports such as ice hockey and skating. Other historic sites include Villa Tugendhat in Brno, Pilgrimage Church of St. John of Nepomuk, and the romantic town of Telc. Whether you like to stay in luxury hotels or country inns, there are many great options in the Czech Republic.